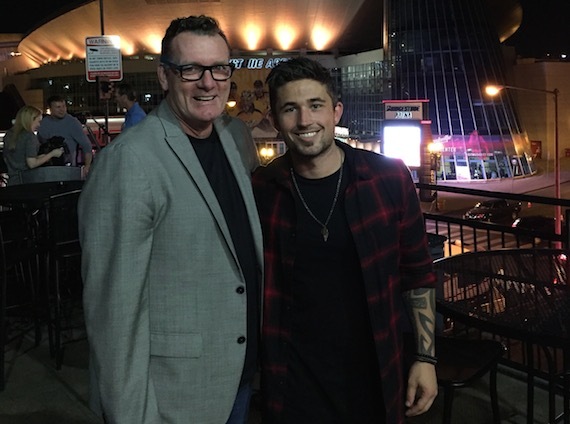 Music industry executives, family and friends gathered to celebrate an evening of award-winning music as BMI hosted the after party for the 2015 GMA Dove Awards, held Oct. 13 in Nashville. The 46th annual award show featured wins by many BMI songwriters, including Matt Maher taking home the honor of Songwriter of the Year – Artist and For King and Country won Contemporary Christian Artist of the Year. 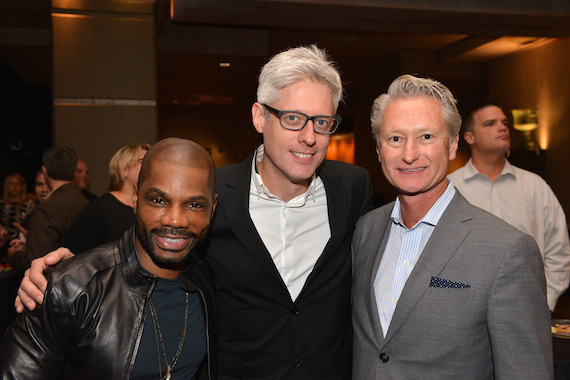 Pictured: (L-R): BMI songwriter Kirk Franklin, BMI songwriter and Songwriter of the Year – Artist award winner Matt Maher with Provident Label Group’s Terry Hemmings. 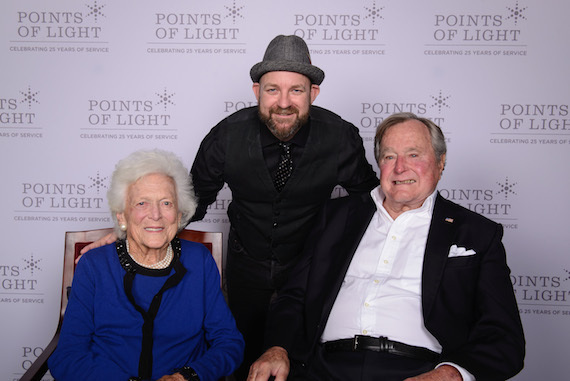 Kristian Bush performed throughout the Points Of Light Conference on Volunteering and Service this week (Oct. 19-20) in Houston. Opening the conference, Bush sang “The Star-Spangled Banner,” joined by U.S. military veterans and the Mayor of Houston Annise Parker, and headlined that evening’s Welcome To Texas Celebration on the city’s Discovery Green. The following evening, he joined a star-studded cast for a 25th Anniversary Tribute concert honoring former President George H. W. Bush, who founded the Points of Light volunteer initiative in the 90’s.